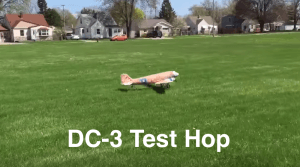 DC-3 Test Hop – She Flies! 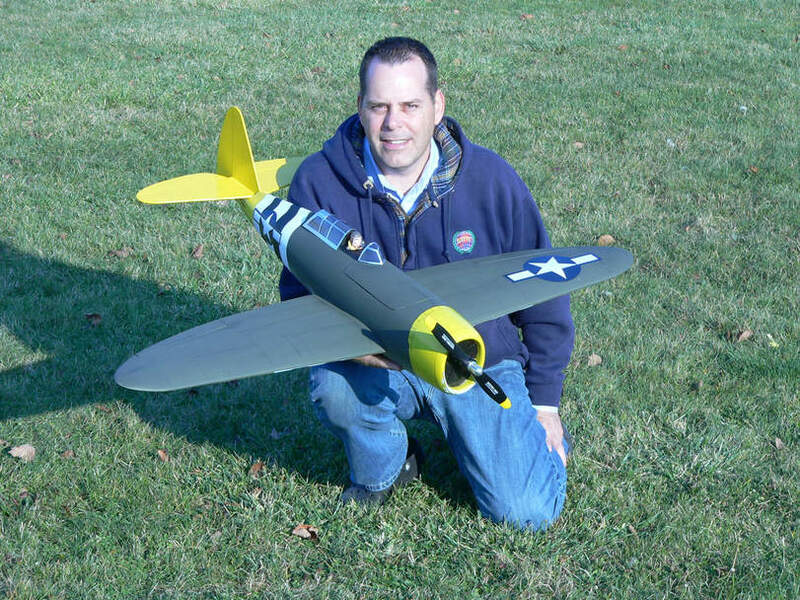 My scratch built DC-3 Test Hop finally happened. My radio controlled airplane made a (more or less) noneventful taxi test hop before I put the finishing touches on her. The aircraft is a bit sensitive on the elevator so I will need to adjust the elevator pushrod have less travel. I can do this through programming the radio as well as moving the clevis further out to the end of the horn. 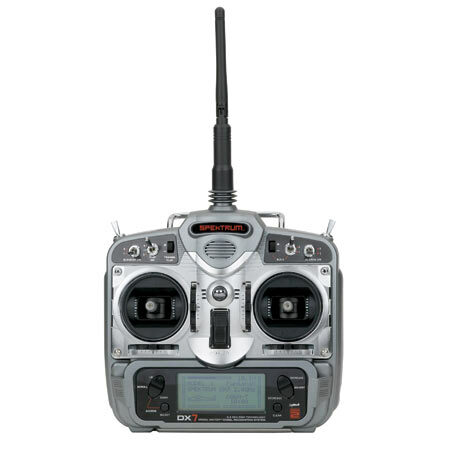 I need to have some significant throw in the elevator for ground taxi and takeoff so programming high rates while on the ground and then switching to low rates once airborne. 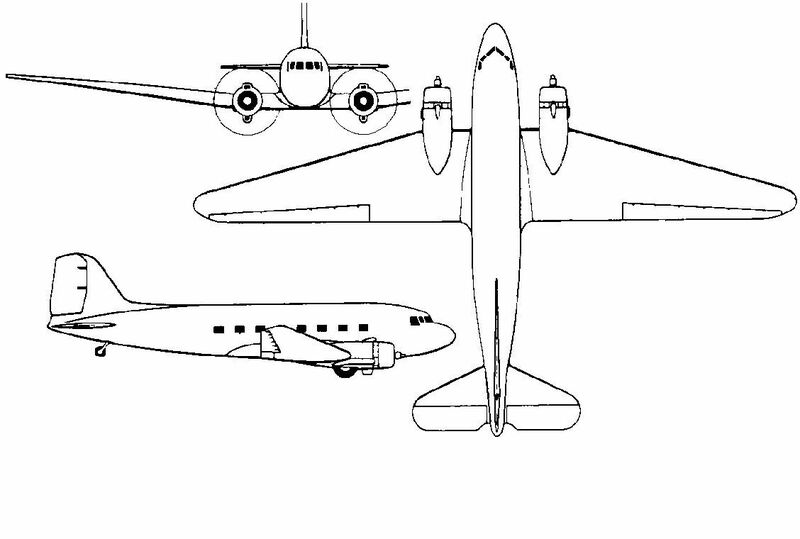 Watching the video of the DC-3 Test Hop, you’ll see a bit of quick up and down pitch changes. I’m also going to lay a larger ply base for the gear struts to attach. 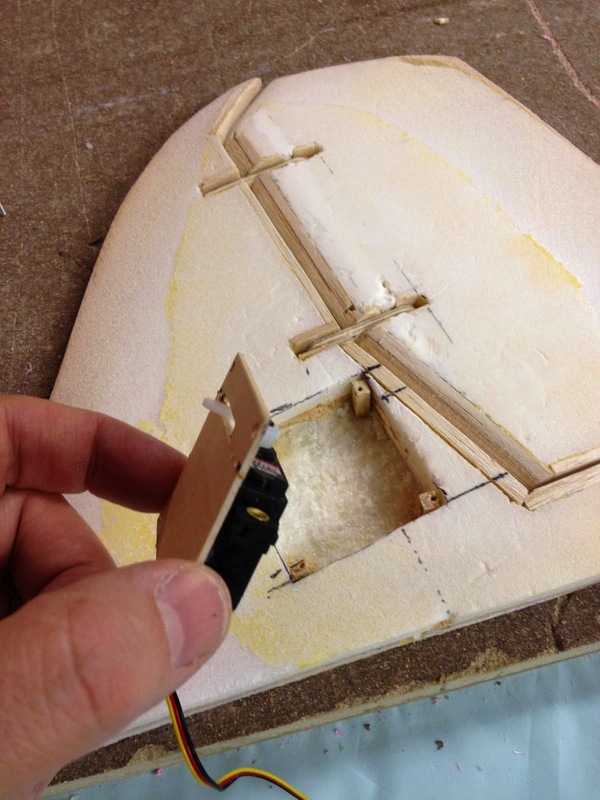 Currently there is a 1.5″ square piece and all of the weight of the DC-3 places too much pressure in such a small area. Distributing the stress on the struss mount will help. 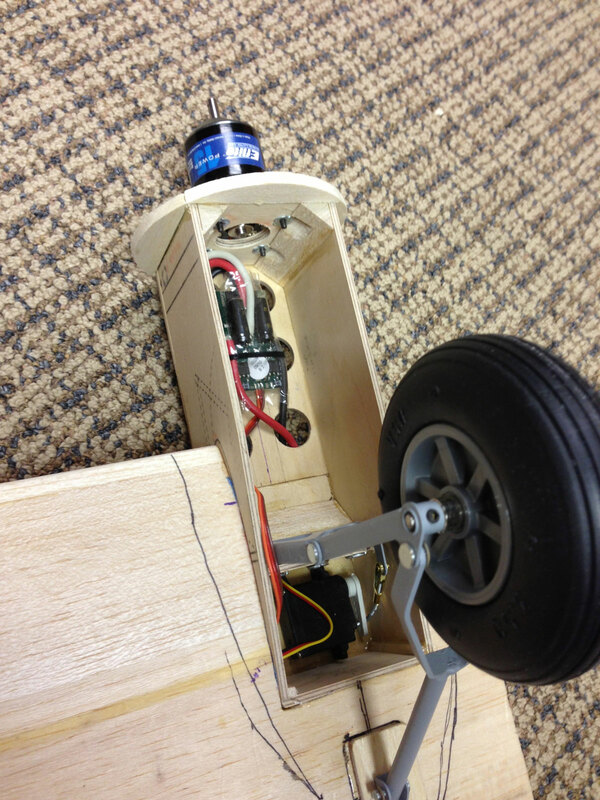 There is plenty of power but the base where the gear attaches needs some additional support. My DC-3 is a bit heavier than I anticipated so flying it at my regular field won’t be a good idea until she has spent some time in the air. Once I get a feel for what will be required for the flying area for take-off’s and approaches, I’m going to opt for a larger & safer area. Stay tuned for another video of a full flight.